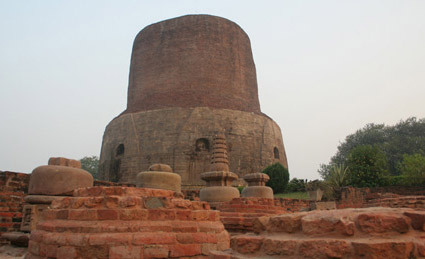 Sarnath is the place where Lord Buddha gave his first sermon. The heritage site has the excavated remains of the monasteries where centuries ago scholars from Vajrayana school of buddhism and the Sammatiya lived, studied and taught Buddhism. The heritage site houses various monasteries, famous Dhamek Stupa and the Ashoka Pillar, the national emblem of our country India. Turkish Muslims at the end of 12th Century attacked and destroyed the monastery partially. Here one can see the original column of Emperor Ashokasurmounted by the Lion Capital. Even after the fall it remained unbroken and Govt. did right to choose it as the national emblem of India. The original column was built of chunar sandstone that bear the typical shiny Mauryan polish in around 3rd century BC. The lion capital is now kept safely in Sarnath Museum under the control of Archaeological Survey of India. It was partially manhandled during the plundering’s attacks in 1194 by Qutb-ud-din. The peripheral area is covered with parks with greeneries and huge trees. 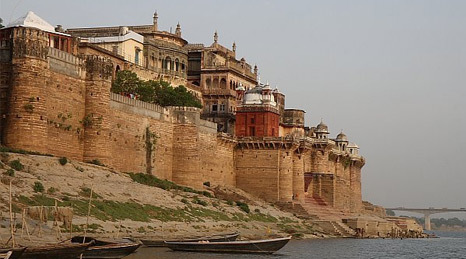 Ram Nagar Fort Varanasi, where the erstwhile as well as the current abode of the Maharaja of Kashi houses. Itis situated just across the Holy River Ganges. The red sandstone building of Ram Nagar Fort was constructed by Maharaja Balwant Singh in the eighteenth century. The famous Hall of public audience, popularly called as the 'Durbar Hall' where important decisions where discussed and implemented. 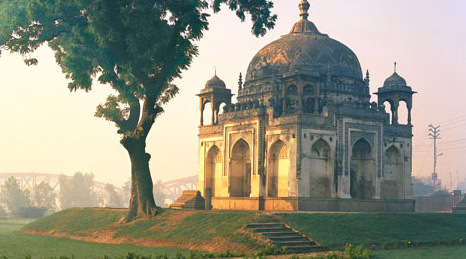 By clubbing Indian and Islamic styles the fort is an architectural marvel. The royal family is still staying in part of the fort which is not open to public. Only the museum and temple can be visited by tourists. The museum hasroyal collection on display at this museum which includes furniture, costumes,vintage cars, palanquins, antique clocks, ivory work, armoury of old guns, swords best and most impressive articles that once belonged to the royals. Annual Dussehra is celebrated in Ram Nagar Fort in a big way. During this festival, the whole city will be in a festive mood and transforms into a stage where the epic Ramayana’s different acts are staged. 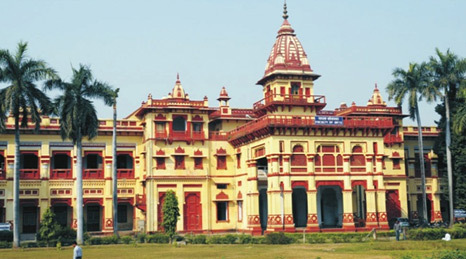 Banaras Hindu University, popularly known as BHU Varanasi is an internationally known University having almost all faculties. Under the leadership of Pundit Madan Mohan Malvya, Varanasi Banaras Hindu University has produced many Nation builders and great freedom fighters. It has enormously contributed to the development of the country through a large number of celebrated scholars, scientists and artists. The structure of Varanasi Banaras Hindu University has a high rank amongst the Monuments in Varanasi.Dr. Annie Besant also played a significant role in the construction of the present BHU campus. The campus of BHU is about 1300 acres of land. The University has extended its campus to out of the town with large infrastructure. It has well maintained roads reaching to all buildings and is a canopy of greenery. The BHU consists of 3 Institutes, 14 Faculties spread across 124 Departments, 4 Interdisciplinary Centre as well as 3 Constituent Schools. Under BHU here is an engineering institute, medical college, The Banaras Hindu University has nearly 15000 students, 2000 teachers besides 5000 non-teaching staff. It also boasts number of foreign students from Europe, Asia, the U.S.A., Middle East and Africa. Tomb of Lal Khan, a Mughal noble at Varanasiwas constructed in 1773. Though the city is famous for the River Ganges and Hindu structures, this place also boasts of a few tombs and mausoleums built during the Muslim reign. The presence of Mughal architecture and construction style are adopted here which is clearly visible at all corners of the roof, pillars and walls-everything has a splendour of its own. 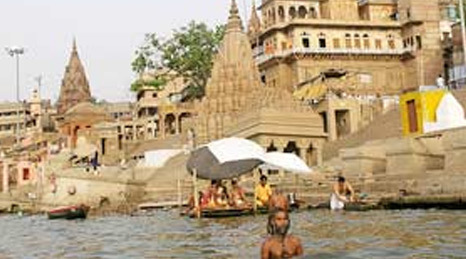 GyaanKuporwell is located beside the Viswanath Temple, also called the Golden Temple of Varanasi. GyaanKupor well is one of the prominent Monuments in Varanasi and is believed that the well have been in existence even before the Ganges flowed down to this earth. It is believed that drinking water from the Gyan Kuporwell leads to a higher spiritual plane. However, pilgrims are not allowed from doing so by both tradition and a strong security screen. The Shiv Lingam of the ancient temple is thrown in to the well to protect it from the attacks of Aurangazeeb the Mughal Emperor. Before the pilgrims begin their pancha-tirthaYatra, give their statement of intent, sankalpa in other words, at this place. Only Hindus are allowed to enter the Viswanath Temple. Varanasi GyaanKupor Well is also called by the name of the Wisdom Well. It is believed to be a form of enlightenment, albeit in a liquid state. However, they can have a glance inside the temple through a hole. This hole is in the wall that’s located in the passage between the GyaanKupor Well and the front of the temple. So, setting you eyes on the hole, you can get a fine sight of the Siva-linga as well as the other events taking place in the temple.